4 Way Slatted Wall Gondola is flat packed for easy transportation. In stock and ready for dispatch! 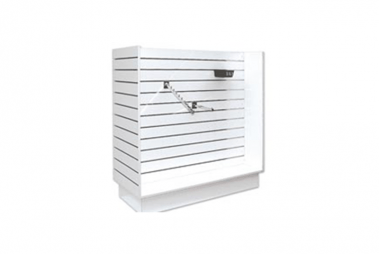 This 4 Way Slatted Wall Gondola is flat packed for easy transportation. The pinwheel design has four sides of display panels, perfect for many items such as books, games, homewares and more. 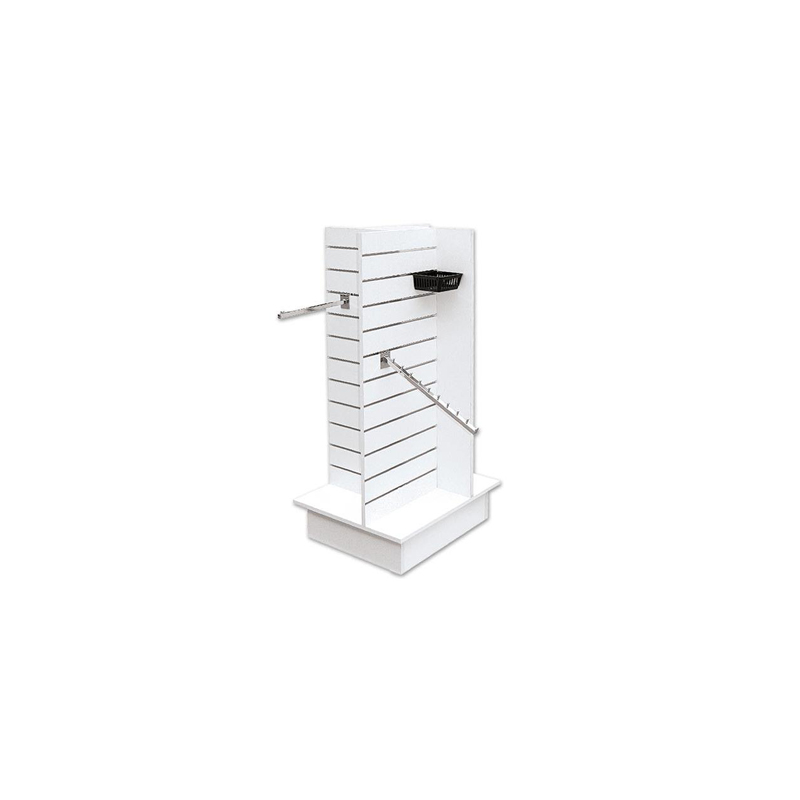 White Slatted Wall section 100mm centres with aluminium T-Extrusion inserts, for strength.